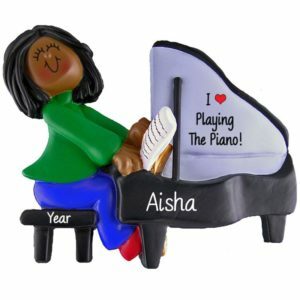 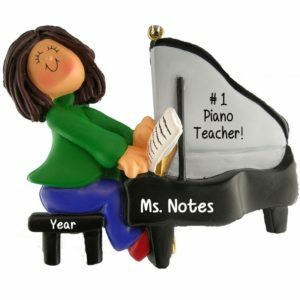 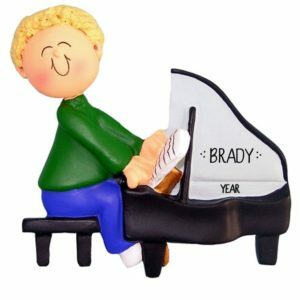 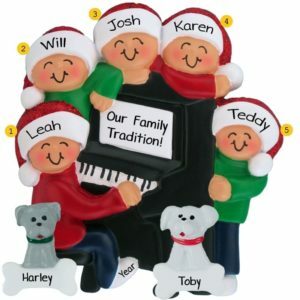 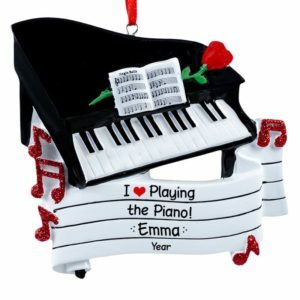 Whether your favorite pianist plays Chopsticks or Mozart’s Concerto #27, no doubt they will adore a piano ornament from Personalized Ornaments For You. 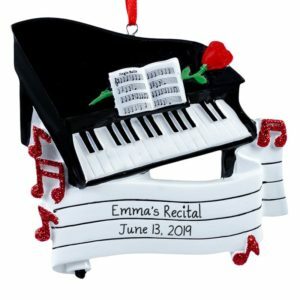 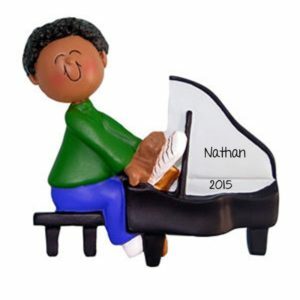 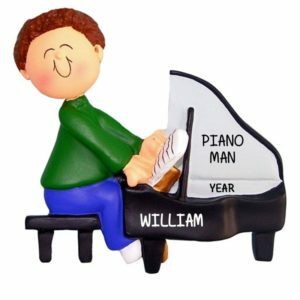 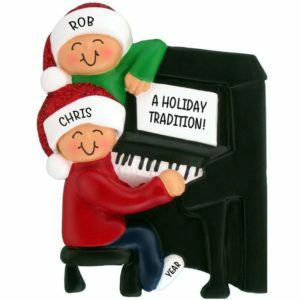 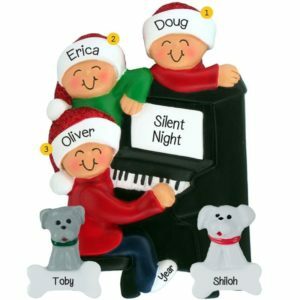 We offer a terrific selection of piano themed Christmas tree ornaments which we can hand personalize with your musicians name, date or sentiment. 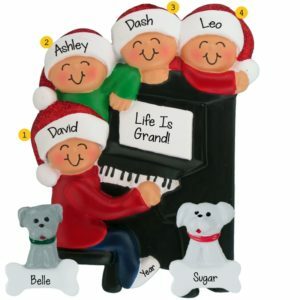 These are not toys, but extremely realistic decorations that may be displayed year round. Some of our piano ornaments have moveable parts and thus mimic real pianos. If you would prefer a piano player, we offer both male and female pianists, with either brown or blonde hair. 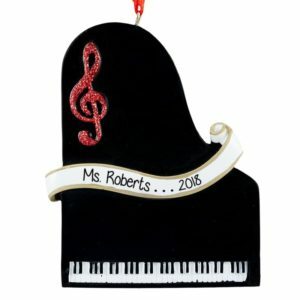 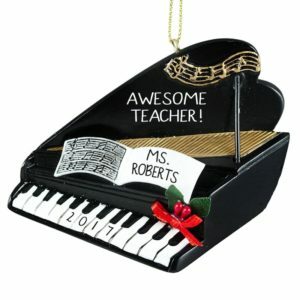 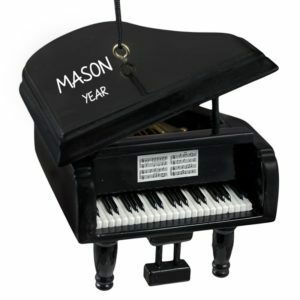 Any of our piano themed ornaments would make wonderful yet inexpensive thank you gifts for piano teachers. 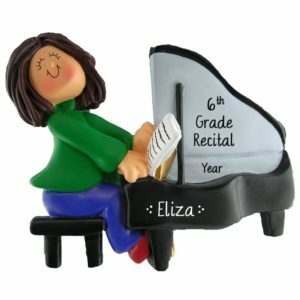 They are also a great way to commemorate a recital or first lesson. 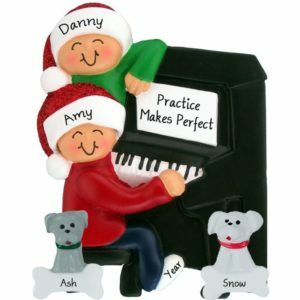 What if your musician plays an electric keyboard rather than a baby grand or an upright? We have you covered there as well. 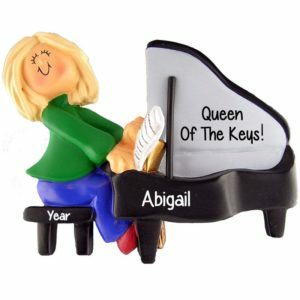 So whether your pianist is into classical, jazz, rock, or just likes to tickle the ivories, please check out our sure to please keys!